If you have never moved a home then you may not know what to expect. You can be looking forward to the changes and improvements your life will bring, such as new surroundings, the chance to experience different things, etc. You will be enthusiastic to get the job done so that you can start things immediately but you may not be ready for the work that removal needs. If you are not sure about the process or want support with your relocation in Lea Bridge, E10 call us on 020 8746 4402 and speak with Moving Service. The area can be found in East London and within the Borough of Hackney. The river Lea runs through the area and it is named after the bridge that crosses it. It utilises the E10 postcode, which puts it close to N15, N16, E5, E8, E9, E15, E17 and E20. These areas contain Stamford Hill, Springfield Park, Walthamstow, Leyton, Hackney Marshes, Lower Clapton, Hackney Central and Stoke Newington. A ferry existed in the area around 1582 and a bridge was constructed over the river in 1745. A tollhouse for Lea Bridge Road opened in 1757, with an iron bridge following in 1820. The former Lea Bridge Stadium was home to Leyton orient FC in the 1930s, as well as being used for speedway events. The area is mostly an open space, with Millfields recreation ground being the largest among them. It is easy to access Lee Valley Park from here, as well as Hackney marshes and Walthamstow Marshes. The Millfields Power station has stood here since 1901 though is now only used as a sub-station. In its heyday it provided power throughout the entire Borough. Whether you are facing office removals, student removals, you’re moving abroad or you are about to undergo local removal, then you have your work cut out for you. You will have to see to countless chores that all must be completed thoroughly and properly so that things go well. You will begin by making a moving checklist and planning the process. You will have to sort your belongings, wrap them up and place them into secure boxes. You will need an awaiting moving van and you will have to carry things into it. Furniture removals are tough, as you have to get objects in and out of the building. You need not worry about all this work though because our removals company in Lea Bridge, E10 can help with every aspect of the process. Our call centre representatives will help you learn about the whole process. You will get to grips with removals so that you can complete the task yourself. We will supply important information as well as useful tips. We can do a lot more for your move. 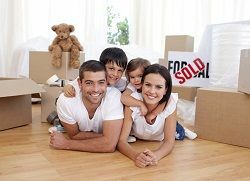 With our expert removals services we can send top movers to your address who can tackle the process. Our team is capable of helping you sort and pack goods, and they will provide all the necessary packing materials. They can hold goods, so no box or piece of furniture will be left behind. Our removals vans in Lea Bridge are constructed to safely store and transport your goods and will get them to your new home in no time. We can do all this at a great price because of the free estimates we offer. These quotes need no commitment, so there is no risk in calling Moving Service today on 020 8746 4402 and discovering what we can offer to you.